Artwork for the next Christian Mistress album is due in about three weeks, and the band is at a crossroads. “We’d like to do something that is lighter and more reflective,” says Christine Davis, singer for the Portland-based, Seventies-metal-inspired group. “We’d like to use less dark colors and have something that really pops out and really represents the power and sharp brightness that we feel the band is at right now.” All of the band’s previous releases have been decidedly more, well, black. More metal. But the one constant is a religious symbol they’ve used on every release since forming in 2008, one that’s become synonymous with the group. It clanged around the music blogs, Twitter, and Reddit this month, finding its way in front of more eyeballs than ever in its history: Kanye West was gonna use the symbol on his album, too. West posted two updates in quick succession on his Twitter a little after midnight on March 1: first, “New Album title…” at 12:20 a.m., and then “So Help Me God,” with the image, five minutes later. When the most famous rapper in the world, the most talented mainstream rapper on the planet, the brashest musician out right now, is going to use a symbol first used by your band, you have to wonder if ‘Ye respects artistry. Surely someone vetted this symbol, right? We reached out to West’s team for comment and will update you when we hear back. The next night, West posted a link to the “All Day” single and attached the artwork. The day after that, Kim Kardashian was touting the “sick artwork” on Instagram and echoed West, subtly changing its purpose: It was no longer the cover for the So Help Me God album, it was the cover for the “All Day” single. Maybe it’ll be both. The symbol — a diamond with a lowercase “m” at each point, a “thirteenth-century monastic symbol for the Virgin Mary” — was found by Christian Mistress drummer Reuben Storey in a book back in 2008 and seemed to sync nicely with the band’s name, Davis says. “I don’t know what book, but he found it and thought, ‘Wow, this is really beautiful, and it represents the Virgin Mary, and our band name is Christian Mistress.’ So we thought it would be cool to use this and never tell anyone that it represents the Virgin Mary — keep it a secret and that way this can be ours. In that way we made it ours in our hearts. Like, you have this ridiculous band name everyone always asks us about, and we never once mention in any interview that that symbol represented the Virgin Mary because we like having that be more of a secret. 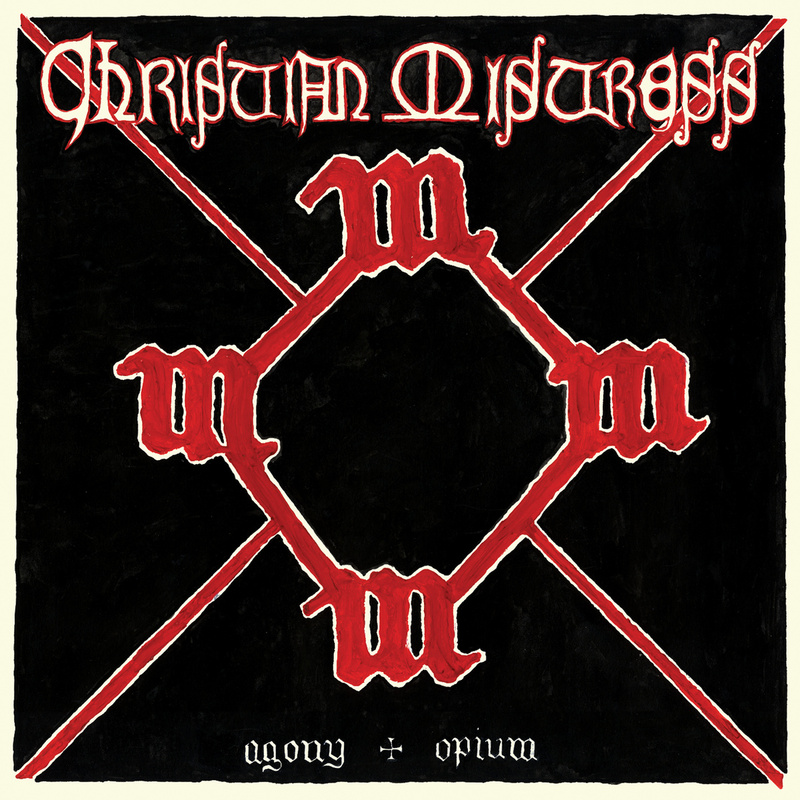 While the artwork for a single carries a fraction of the weight it does when used on the front of an album, a Kanye single, featuring a Beatle no less, has the ability to drown an indie-metal band from Portland, no matter how critically praised. “We don’t want our fans or other people, potential fans, to be confused into thinking that Christian Mistress is unoriginal or dishonest or otherwise copied Kanye West’s logo,” Davis says. “Because time will go on and people will forget about the whole reverse-confusion type of situation. We’ll end up losing control of our reputation as original artists. And that’s just something that’s too valuable to just passively say, ‘That’s OK,’ because it’s really not OK and he’s using the symbol in a manner that will confuse people in the future and now. 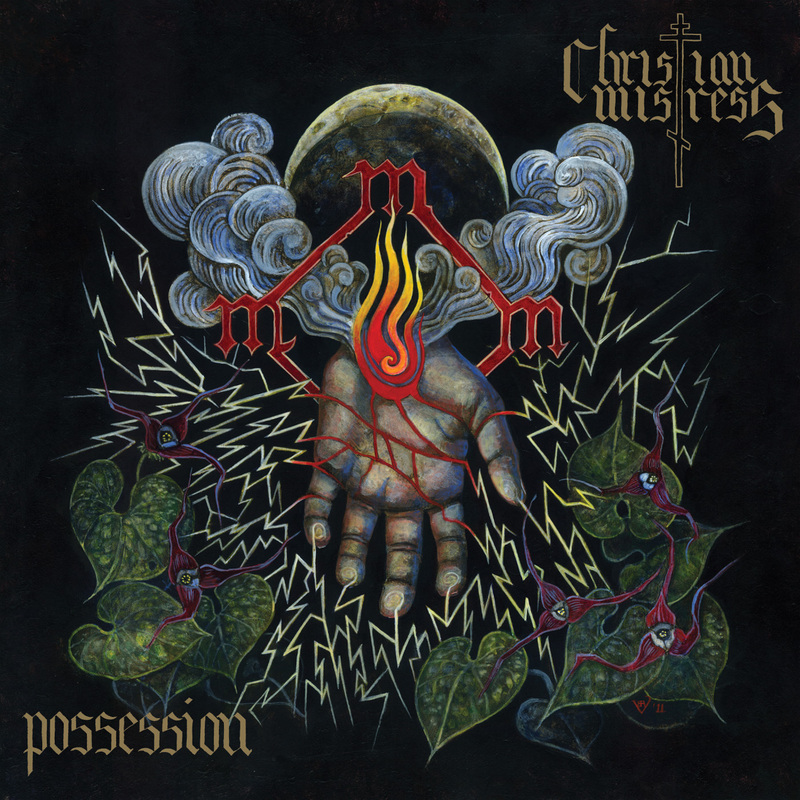 Christian Mistress are thinking of titling their third full-length, and second on Relapse Records, Stronger Than Blood. The album’s set for an October release, around which time, says Davis, “We’re doing an East Coast tour with [Chicago rock band] High Spirits, and all the dates have not been announced yet, but we’ll be officially announcing that soon.” The band has a September 9 show scheduled for Brooklyn rock club Saint Vitus. But first there’s the matter of artwork for the new record: Davis is undecided about including the symbol, which has formed an unlikely link between her band and West, whose early DIY ethos and defiance of cultural norms has made him one of the punkest rappers out there. Yet West’s previous ventures into the world of punk and metal are sparse in number: There was the electrifying “Black Skinhead,” paparazzi photographs that captured “metal” sweatpants, and, more recently, the goth-teen hoodie that looked like merch from a black-metal band. It all made for tasty metal-blogger chum, filling comments sections with tired anti-Kanye animus. To many, metal and rap should be natural enemies in the wild — forget about the inspired exceptions.